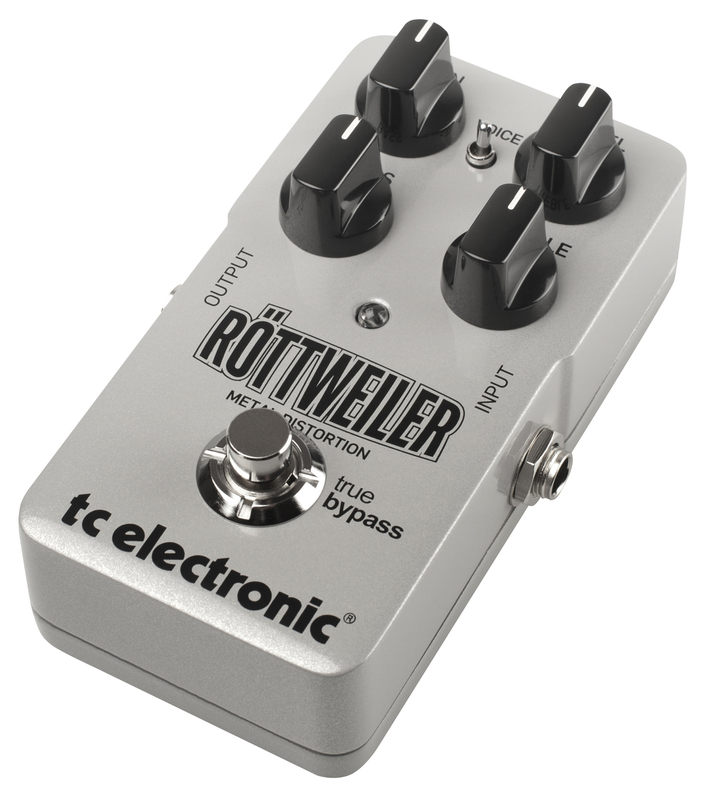 TC Electronic’s Röttweiler-distortion (current street price in Finland 129 €) specializes in brutal distortion sounds, and doesn’t waste any time on sissy stuff. The gain control takes you from quite a lot of distortion to complete über-Metal-mayhem – so don’t go looking for besuited and well-behaved Blues-tones here. The Voice-switch gives you two different shades of brutal: One selection is fatter in the mid-range for more classic Hard Rock and Metal stuff, while the other selection gives you the scooped out tones favoured in many contemporary styles. The pedal also offers bass and treble controls for fine-tuning your tone. The TC Electronic Röttweiler is a brilliant tool for the Metal-aficionado, which turns any amp into a high-gain monster stack. TC Electronic’s The Dreamscape (current street price in Finland 245 €) is John Petrucci’s signature effect pedal. It contains six different modulation effects, as well as one memory slot for a Tone Print. The Dreamscape can be run in mono as well as in stereo. If you take off the bottom plate you’ll gain access to two tiny switches – one allows you to select either true or buffered bypass, while the other enables you to set the pedal to wet signal only, which is handy if you use the Dreamscape in a parallel effects loop. The Dreamscape comprises controls for depth, speed and level. A three-way mini-toggle lets you select between three different EQ curves – from soft and dark to bright and upfront. John Petrucci has chosen and grouped the six effects in such a way that the effects numbered ”1” are suited to his clean styles, while the second variations go with his overdriven tones. Personally, I wouldn’t draw so drastic a line, as I got great results with any of the six effects in all types amp of settings. 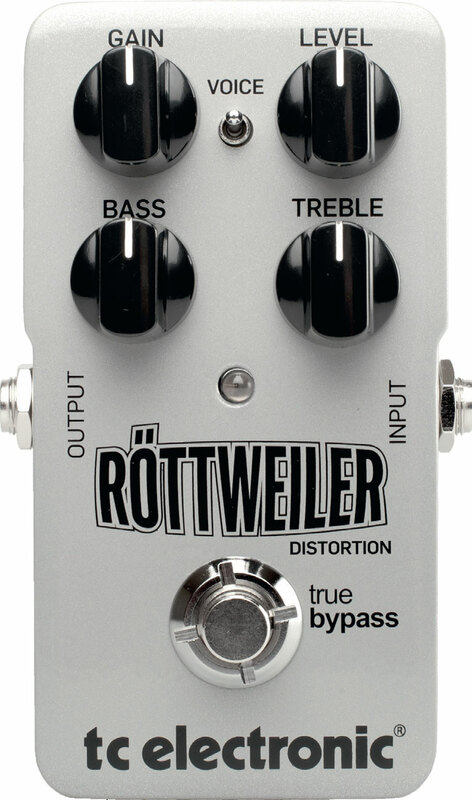 This pedal’s main idea is in offering two distinctly different versions each of the three effect types included – namely chorus, flanger and vibrato – that behave and sound different to each other. 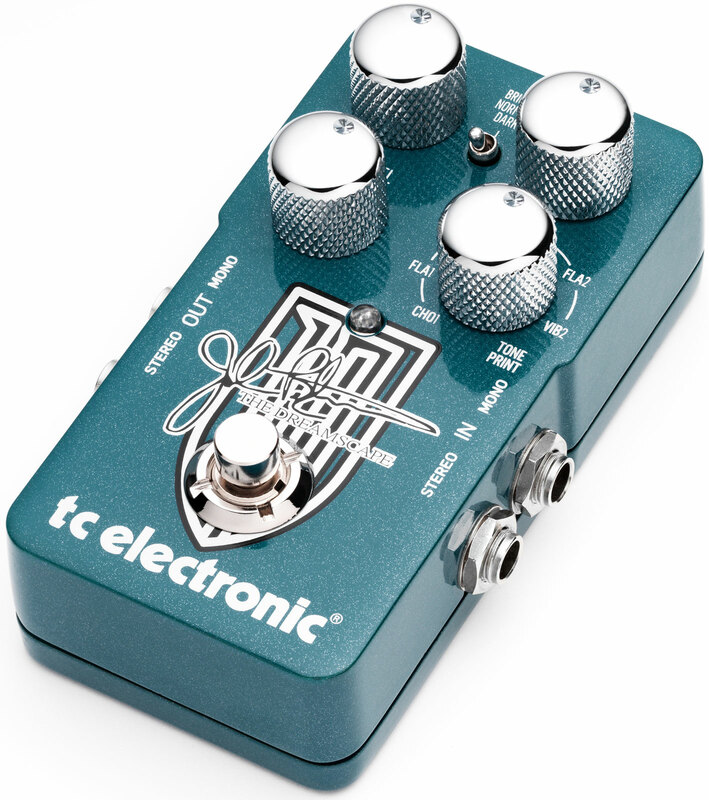 At 245 € the TC Electronic Dreamscape is the priciest Tone Print -pedal to date. Some of the price will surely be a signature pedal premium. 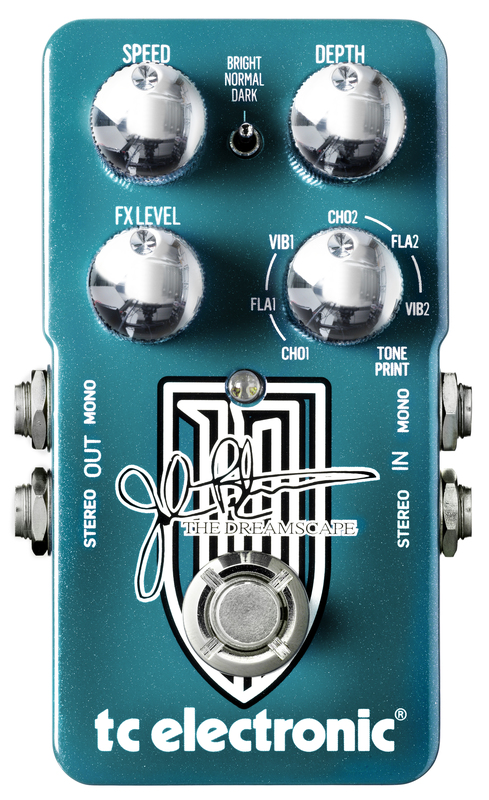 But you shouldn’t forget the fact that John Petrucci’s pedal also offers six different effects plus one Tone Print -slot in one compact package. Looking at the Dreamscape from this angle makes the higher retail price sound much more reasonable.